Individual giving is vitally important to Skid Row Housing Trust’s continued work. Not only does individual giving demonstrate the community’s support of our work, but also it provides unrestricted revenue that we can use to flexibly respond to the needs of our residents. 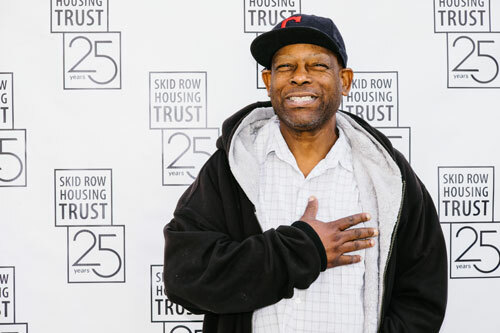 Whether through a one-time or recurring gift, a corporate matching program, or long-term planned gift, Skid Row Housing Trust is eager to work with individuals who want to invest in evidence-based solutions to homelessness. The Trust’s Building Benefactors program is a select annual sponsorship and volunteer opportunity for individuals and organizations that believe everyone deserves a safe home in a healthy community. Learn more about becoming a Benefactor. Want to support Skid Row Housing Trust while shopping on Amazon? Go to http://smile.amazon.com/ch/95-4205316 instead of the regular amazon.com site! Amazon donates .5% of eligible purchases. Skid Row Housing Trust will not sell or share a donor’s personal information with anyone else, nor send donor mailings on behalf of other organizations. 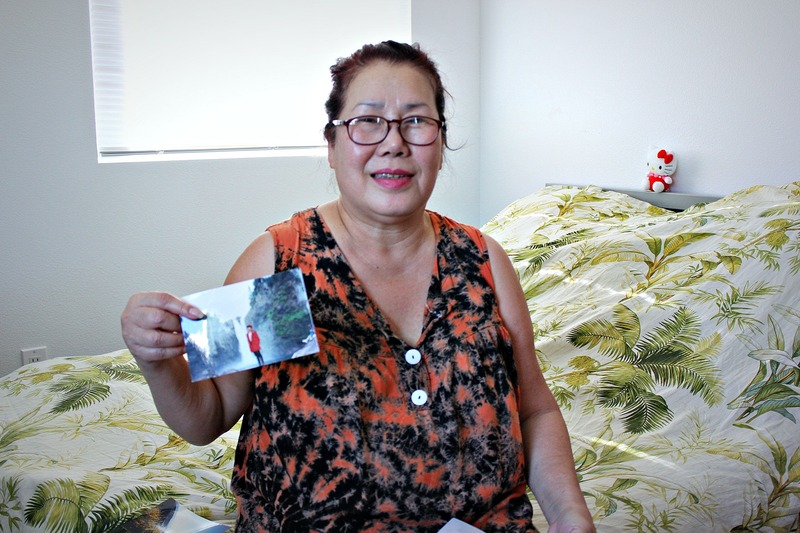 Snow, a resident of a Trust building in Skid Row, holds a photo of her traveling before she got cancer. And we are so thankful to have Snow as a wonderful resident and thankful for donors who help people like Snow stay stably housed with support services.